Boran Shenhuy from the sociology department, was named FASS winner at the Placement Student of the Year awards. He tell us about his placement year. When I was trying to find a fulfilling placement, I could not find anything until the last month before my return to Cyprus in May. As someone who has been previously involved with non-governmental organisations (NGOs) and charities, I did not want to work for big corporations and did not apply to them. 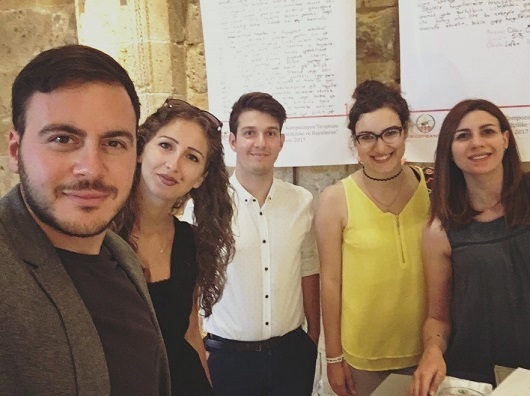 Among the few global and local NGOs, I applied, such as Greenpeace and Friends of the Earth, I came across the role of Administrative, Campaigns and Research Assistant at Cyprus Green Action Group. Cyprus Green Action Group is the longest running environmental NGO in northern Cyprus. It has been involved in different projects to advocate for a green environment, sustainable growth and correct city planning. Amongst these projects, my role included overseeing administrative tasks of the organisation, planning and carrying out exhibitions and expositions, designing and carrying out the first quantitative research on environment and recycling and lastly, working on our bi-communal recycling project “Cans of Hope”. Although it was unpaid, during my role I felt I was involved with something I was passionate about and that led to a lot of achievements such as the FASS faculty winner of Placement Student of The Year Awards. My manager was also pleased with the work I had done and offered me a paid role after my placement ended as the Project Assistant to the “Cans of Hope” project. Working on the EU funded “Cans of Hope” project gave me the chance to work on both the project and trying to bring communities closer. To do so, I started networking across the border and tried to invite different Greek-speaking Cypriot NGOs to events. 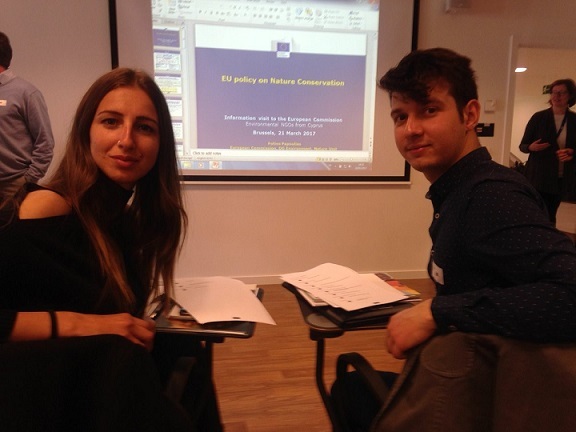 This project led to the highlight of my placement year which was my visit to the EU offices in Brussels. I had the chance to meet the High Commissioner from Cyprus, Members of the European Parliament and people across Europe that work on society, local community and environmental projects. With the highlight also came my moments of doubt where, as an undergraduate student, I felt out of place speaking about my experiences. To overcome it, I learned to be more confident in myself and the work I do. I was not out of place but rather I was shining bright enough to be offered a place on the visit to the EU offices. My placement year taught me the field I want to go into and because of it, I was able to make informed decisions about the modules I wanted to take and the dissertation I wanted to write. It is a great opportunity for anyone who knows what they want to go into when they graduate, but also those who are still trying to find their passions and want to learn more about different career options. For me, it helped me to specify my future career plans into urban research in conflict societies. My advice to students who have not yet secured a placement is to not panic. I have been there and now, I have attended conferences across Europe, helping different NGOs from USA to Middle-East with their projects and participating in different research projects. What I’ve found is that the key to a good placement is to be yourself, know what you want to and can bring into the world and then act on it. Although the idea of an unpaid internship first scared me, now it has opened so many doors for me that upon completion of my degree, I will be able to work in rewarding environments where I accomplish my dreams and live a good life.